In Pope Francis’ General Audience on Wednesday April 24th, he greets everyone with Easter Joy. 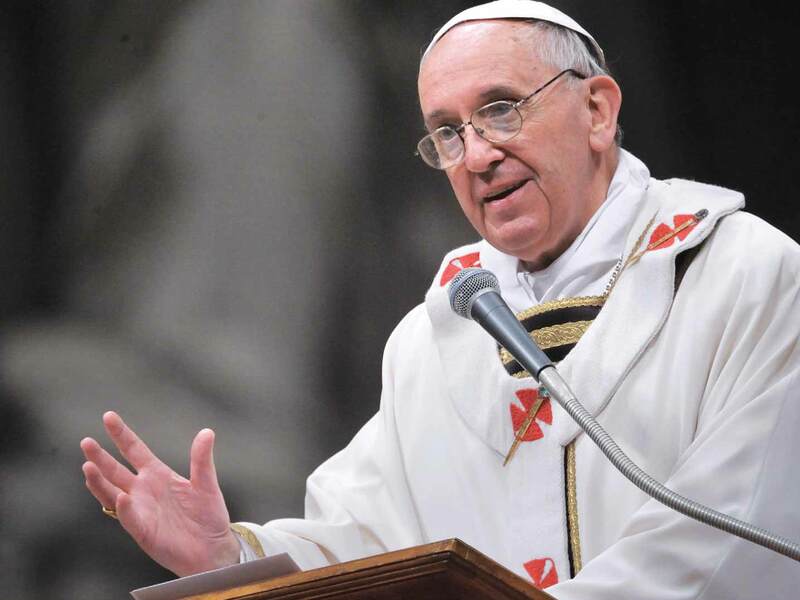 Pope Francis challenges the crowd with the question the angel asked the women who went to Jesus’ tomb; “Why do you seek the living among the dead?” This question is definitely a challenging question for many because it is something we do not think about often. As we struggle in life we tend towards discouragement, sometimes even despair. The women at the tomb must have felt this as they went to the tomb, not to find Jesus, but to anoint Him according to their custom. Mary Magdalene responded to the angel in tearful sadness, “They have taken my Lord and I don’t know where they laid Him.” It is only when Jesus spoke her name that her heart was pierced with joy and hope and her eyes were open to know Him. This is the mercy of Jesus, the mercy that restores hope, joy and love on a broken heart. The balm of the merciful love of Jesus is the only way we can truly feel joy even in our sorrow the calling we receive from baptism never stops. When I read Pope Francis’ Audience many things spoke to me. Many times in my life I had to ask myself, “Why do I seek the living among the dead?” Now this statement, like Pope Francis says, can apply to many things in our life, especially the past. I have struggled with looking to the past, and worrying about things that happened many years ago, and this happens because the pain that came with that is still lingering. How can I move on when I still feel so broken? But our good Pope Francis beautifully reminds us that Jesus has healing for me right now in the present, and in the future; but He cannot work if I continually seek the living among the dead. In seeking the living among the dead, I block the graces the Lord wants to give me to fulfill my vocation as wife and mother. In the end, we have to trust Him and let go of the pain of yesterday. I also look to the Blessed Mother who was at the foot of the cross and watched her Son take His last breath. As a Mother I cannot even begin to imagine the pain that came with holding her Son’s lifeless body in her arms, but she did not give up hope. The Blessed Mother had profound faith that in three days her Son would rise again. She is the woman we should look to; she accepted everything with hope, joy and peace because she trusted in God. Pope Francis’ audience is a powerful one for many people in today’s world and I ask you along with Pope Francis, how long will you seek the living among the dead? “We are the Easter People and Hallelujah is our song!” –Saint Pope John Paul II.